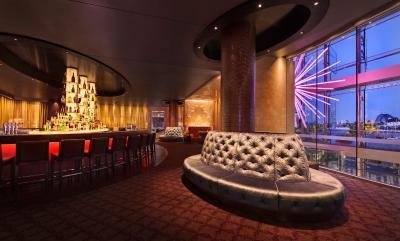 Lock in a great price for Astral Tower and Residences at The Star – rated 9.2 by recent guests! The interiors were lovely! Comfortable room and room service was really great. The executive lounge was a bonus, very good service and a delicious breakfast. I was enchanted by all the staff in the hotel and casino, they were helpful and smiley and friendly. I've stayed in many hotels round the world, and these people were the best. This place is central to many things within walking distance. The whole place was phenomenal, from comfort to convenience. The room was spacious and had all the facility we needed. The staff were caring and we got a room upgrade for my birthday. and access to the executive lounge. We could have friends over. Probably one of the best breakfast buffets out there. Water temperature of the pool was amazing. Nice and comfortable room. 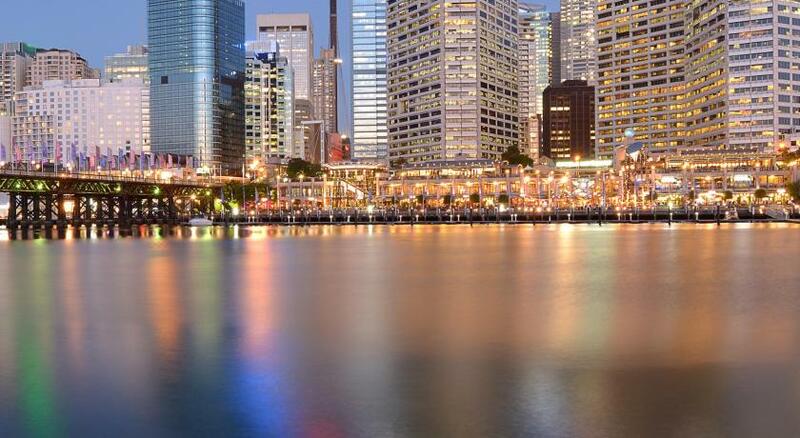 Amazing Location, 2 blocks to darling harbour shops and restaurants. The upgrade to include access to the lounge made all the difference. It was very conveniently located for the show we were watching at the Lyric theater. The whole room was just amazing. The little details, like my name on the t.v welcoming me to my room. I loved the toilet seat. And the view was just the cherry on the cake. I can't stay anywhere else now. Because it's just not going to stack up the same. 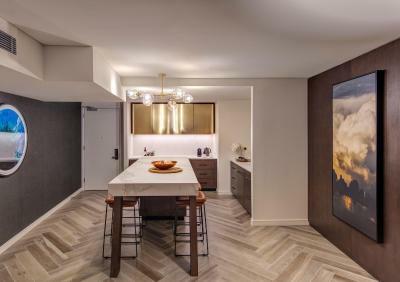 Astral Tower and Residences at The Star This rating is a reflection of how the property compares to the industry standard when it comes to price, facilities and services available. It's based on a self-evaluation by the property. Use this rating to help choose your stay! 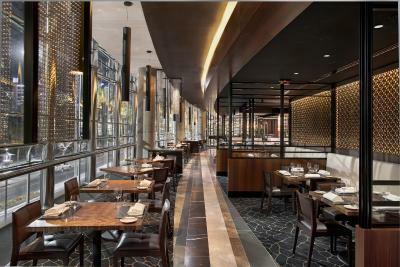 One of our top picks in Sydney.Offering luxurious accommodations, Astral Tower and Residences is located in The Star Entertainment Complex. 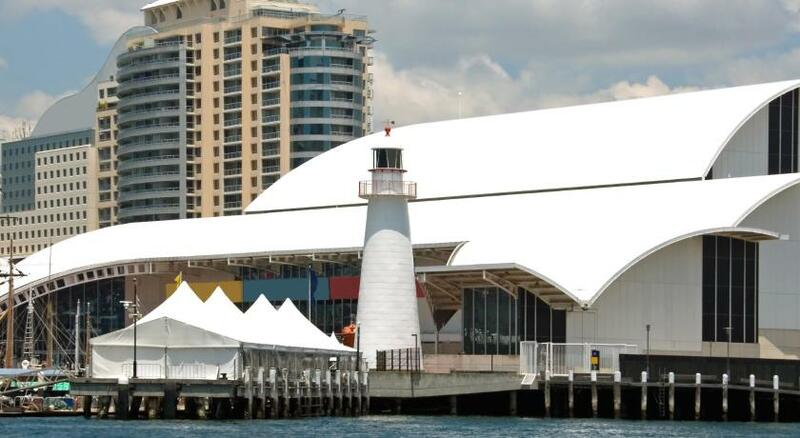 It is located in Darling Harbor. 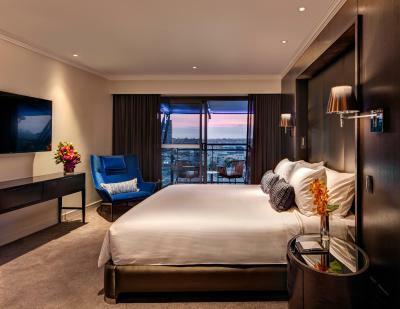 The property is a short walk from Sydney CBD (Central Business District) and most rooms offer panoramic views of the city skyline. 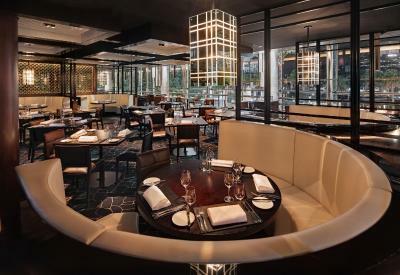 The Star offers a variety of high-end restaurants and bars to suit every taste including Balla, Black, Sokyo, Momofukum, Seiobo and The Century. 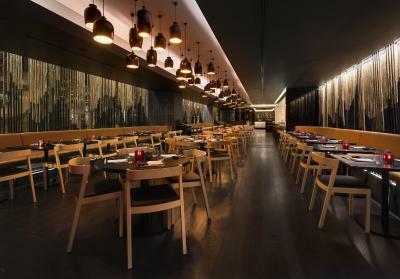 There are also casual dining options such as Fat Noodle. 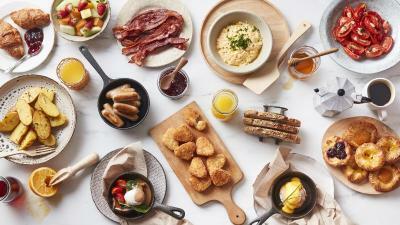 Full breakfast is offered in the Harvest Buffet. 24-hour room service is also on offer. 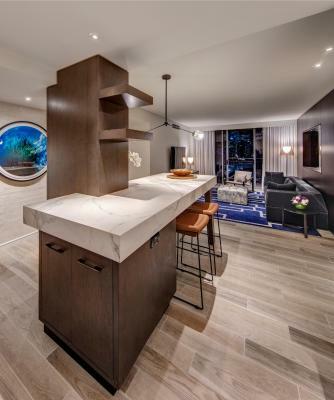 Astral Tower offers modern hotel rooms while Astral Residences showcases 5-star luxury suite living with 1, 2 and 3 bedroom suites with their own private balcony and kitchenette. The property also offers business facilities, on site parking and a health club with fitness center and sauna. Guests can enjoy a swim in the heated indoor/outdoor pool. Astral Residences at The Star is located just 10 minutes' walk from Chinatown and 15 minutes' from Town Hall Railway Station. There are regular light rail services direct to The Star from Central Station. There are busses out the front of the property, which can take you to Circular Quay and the Sydney Opera House within 20 minutes'. When would you like to stay at Astral Tower and Residences at The Star? This nonsmoking suite has a separate bedroom and living area. The luxuriously furnished suite features 1 king-sized bed with 1000-spring mattress, 400-thread count linen and goose down comforter. 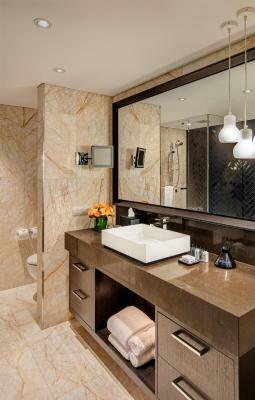 There is a large marble bathroom with shower and bath as well as a separate toilet cubicle. 2 55-inch LCD TVs, a mini-bar, De'Longhi coffee pod machine, kettle, safe, iron, 2 bathrobes and slippers. 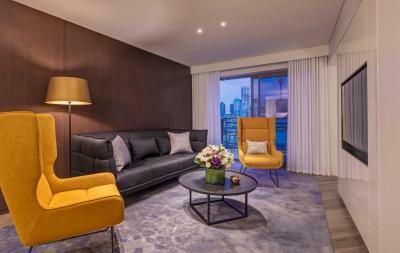 Suites have views of the Sydney Harbor Bridge or the city skyline. Located on levels 6 and 7 of Astral Tower, this room has a combined bedroom and living area. The luxuriously furnished room features a king-sized bed with 1,000-spring mattress, 400 thread count linen and goose down comforter. It also includes an en suite marble bathroom with walk-in shower. There is a window bench seat, 48-inch LCD TV, mini-bar, De'Longhi coffee pod machine, kettle, safe, iron, 2 bathrobes and slippers. This nonsmoking suite features a separate bedroom and living area. The luxuriously furnished suite has 1 king-sized bed with 1000-spring mattress, 400-thread count linen and goose down comforter. There is a large marble bathroom with a shower, bath and separate toilet. 2 55-inch LCD TVs, a mini-bar, De'Longhi coffee pod machine, kettle, safe, iron, 2 bathrobes and slippers are provided. 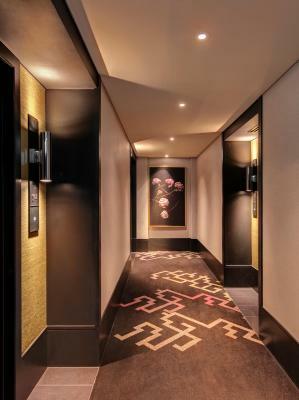 These suites are located on the lower levels, with restricted views of the city skyline. This nonsmoking room features a combined bedroom and living area. The luxuriously furnished suite has 1 king-sized bed with 1000-spring mattress, 400-thread count linen and goose down comforter. 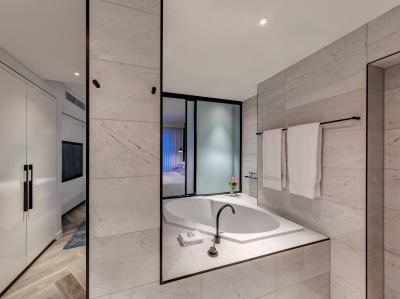 There is an en suite marble bathroom with a walk-in shower. Some feature a window bench seat. There is also a 55-inch LCD TV, a mini-bar, De'Longhi coffee pod machine, kettle, safe, iron, 2 bathrobes and slippers are provided. 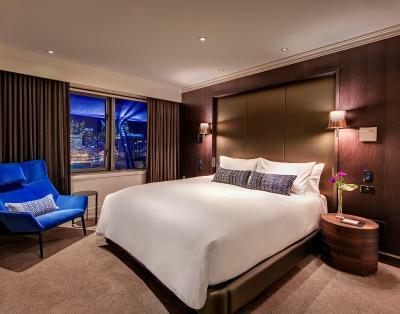 These rooms have views of the city skyline and Sydney Harbor Bridge or come with private furnished balcony. This 2-bedroom suite comes with an amazing view of Pyrmont, including the Anzac Bridge. 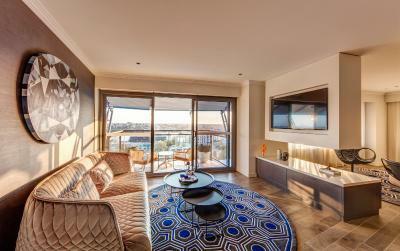 The suite comes with a kitchen filled with stylish features and a furnished balcony with an expansive view of Sydney. 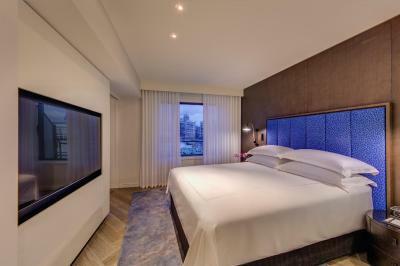 The main bedroom comes with an en suite marble bathroom, a king-sized bed and a 55-inch TV. The 2nd bedroom comes with a queen-sized bed and a 55-inch TV. The 2 marble bathrooms are complete with amenities. As part of our upgrade to bring you an enhanced experience at The Star, the property is refurbishing Astral Tower. During this transformation you may experience some noise disturbances between 6:00 and 18:00. This 2-bedroom suite has amazing views of the neighborhood Pyrmont, including the Anzac Bridge. 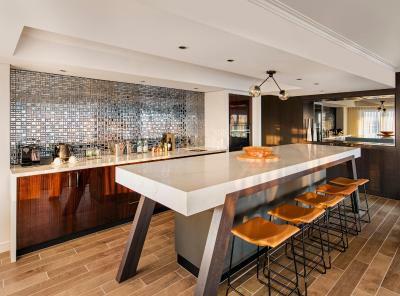 The suite is sepcially designed for entertaining with a kitchen filled with stylish features and an extra large island bench with 5 stools. 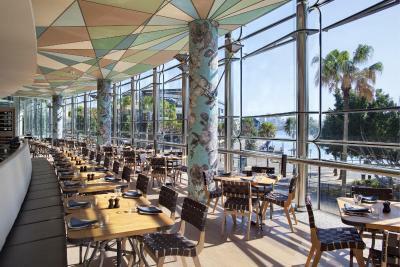 The balcony is furnished so that guests can enjoy expansive views of Sydney. 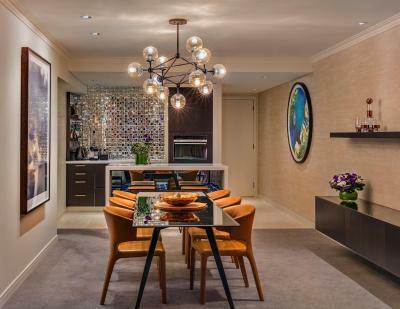 There are 2 living areas, separated by a hanging 55-inch TV on either side. The main bedroom comes with an en-suite marble bathroom, a king-sized bed and a 55-inch TV. The 2nd bedroom has 2 king single beds. There are 2 marble bathrooms, complete with amenities. This suite has a electric kettle, seating area and iPod dock. 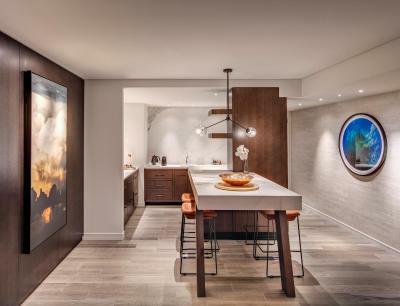 This suite features a iPod dock, bathrobe and seating area. This suite features a balcony, tea/coffee maker and cable TV. This suite features a balcony, iPod dock and air conditioning. This suite has a electric kettle, iPod dock and soundproofing. 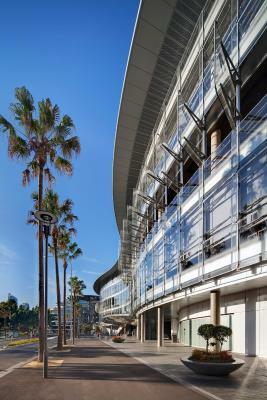 On the foreshore of Sydney Harbour, only a short walk to Darling Harbour and Sydney’s CBD, Astral Tower and Residences is located within The Star complex which features world-class culinary, entertainment, casino and nightlife delights This Property features 9 restaurants, 7 bars, heated in/outdoor pool, day spa, gym, business centre, free Wi-Fi access, tour desk, parking and luxury retail shops. 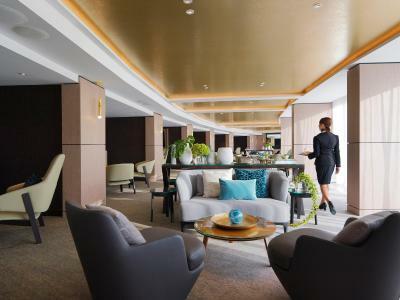 Astral Tower and Residences feature 350 rooms and 130 apartments all with air-conditioning, mini bar, tea/coffee making facilities, free Wi-Fi access and hairdryer. 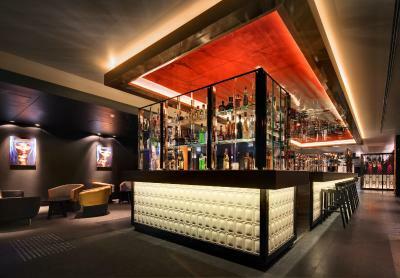 Enjoy magnificent views, first class luxury accommodation and all the action and excitement of this stunning entertainment venue. Hotel surroundings – This neighborhood is a great choice for travelers interested in restaurants, food and shopping – Check location Excellent location – show map Guests loved walking around the neighborhood! House Rules Astral Tower and Residences at The Star takes special requests – add in the next step! All older children or adults are charged AUD 80 per person per night for extra beds. Astral Tower and Residences at The Star accepts these cards and reserves the right to temporarily hold an amount prior to arrival. Please note that the hotel lobby and public areas of the property will be undergoing renovations from the start of 2019 until further notice. Guest may experience noise disturbances from 07:00 - 17:00, Monday to Saturday. Please note the property will also be upgrading the guest elevators from the start of 2019, with one elevator offline at a time. This is scheduled for completion mid 2019. Please note that The Star Annual Essential Services Testing Day is scheduled for Tuesday 28 May, 2019. The purpose of this day is to test essential maintenance and to improve guest experience on site. This will affect the entire Star complex from 08:00 until approximately 15:00. Guests will be required to vacate the property by 08:00 on 28 May 2019. Please note breakfast for up to 2 guests is included in the Bed and Breakfast rates, additional guests will be charged at relevant breakfast rates. 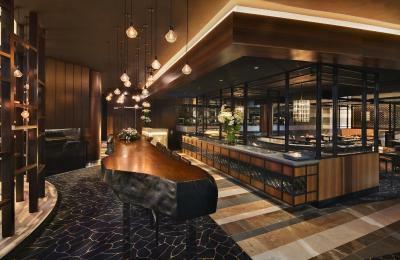 Valet parking is available from Sunday to Thursday for AUD 45 and Friday and Saturday for AUD 55. Please inform Astral Tower and Residences at The Star of your expected arrival time in advance. You can use the Special Requests box when booking, or contact the property directly using the contact details in your confirmation.